Published on 19 October 2012. 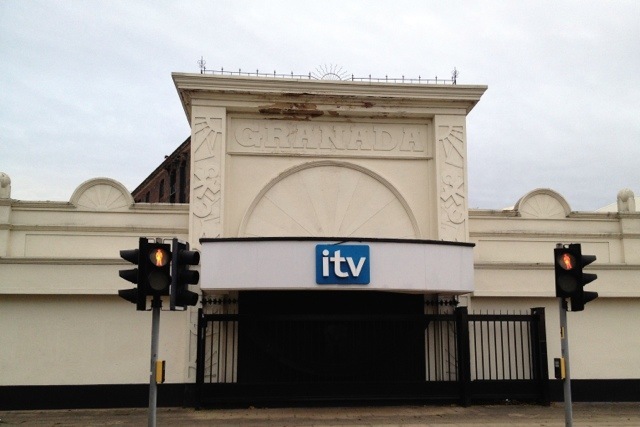 I came across the former entrance to the Granada Studios Tour today, which has (in an act that looks a lot like corporate vandalism) been painted a single block of colour and had ITV’s uninspired corporate logo slapped on the front. It’s a sad sight. 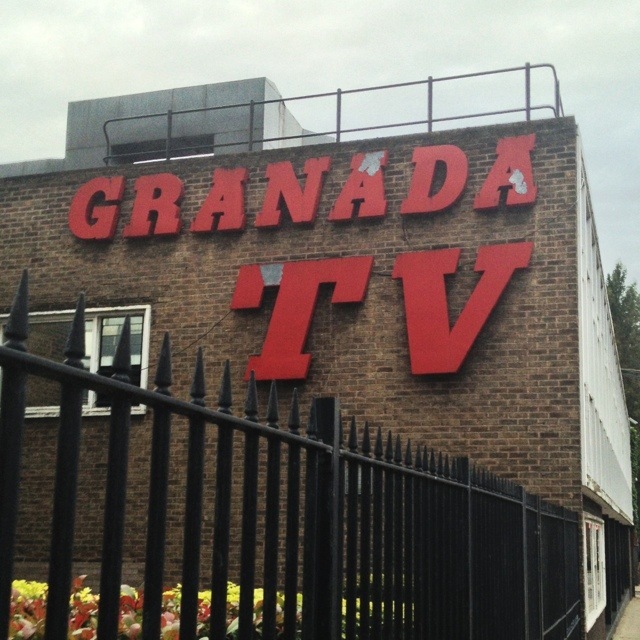 I visited the Granada Studios Tour a few times in my childhood – I have particularly strong memories of visiting with school when the whole complex was rented out for the whole school in celebration of the principal’s significant birthday. The Tour closed abruptly in 1999, one of the casualties of ITV’s financial rationalisation after the collapse of ITV Digital. There’s talk of the Museum of Science and Industry taking over the complex when Granada vacates it next year, though there remains a real threat of the land being sold and this keystone site in our national cultural heritage being flattened – especially after English Heritage’s baffling decision not to grant the site Listed status. This 1,856th post was filed under: Media, Photo-a-day 2012, Manchester.